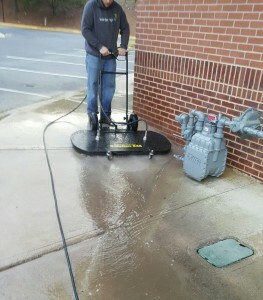 Our professionals provide Atlanta cleaning services for commercial pressure/ power washing services for Atlanta and the surrounding area including North Atlanta, Marietta, Kennesaw, Roswell, Alpharetta and Woodstock and in Cobb, Cherokee, Fulton counties. We use 200°+ water power washing equipment with eco-friendly detergents to refresh concrete, brick, stucco, siding, shutters, parking lots areas, dumpster pads, tarmac, decks, patios, sidewalks and driveways. Trash Compactor Cleaning – Sunburst Environmental provides a powerful low cost method for trash compactor cleaning, power washing trash compactor equipment with hot water, while simultaneously capturing all of the used and polluted waste water, and hauling that water away for proper disposal at a state licensed water treatment facility. Commercal Power Washing – Sunburst offers commercial power washing service direct to your business. On-Site Waste Bin Cleaning – Our self-contained 200° hot water cleaning system, biodegradable antibacterial detergent, and fresh scented deodorizer to make your waste bins and property clean again – plus we recycle and filter the water, leaving no mess behind. Regular Maintenance Programs to fit your budget are available. 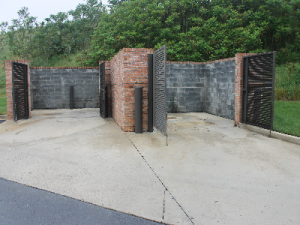 Call 770-226-4786 for your convenient instant quote for commercial pressure washing services.